If you’re a sensitive, empathetic human, which you know you are, it would be very hard, OK, impossible, not to feel somewhat anxious these days. OK. Maybe very anxious. There are multiple reasons for this. So many opportunities for anxiety. I don’t need to tell you. And let’s face it. You were born worrying. That very busy mind of yours could think of endless possibilities for concern. The pteradactyl hiding under your bed. Those timed tests in school. Your friends’ drug problems. The bullies on the street corner. The purpose of dark matter. Not to mention your finely tuned vividly accessible imagination. So many worries, so little time. Then, if you became a parent. Well. What were you thinking? Parenting. Not the best job for the rumination-prone. You know awe. The night sky. An ocean sunset. Swimming with dolphins. The birth of your child. Listening to Lady Gaga sing ‘Til It Happens to You. Wonder can take you out of your angst. Even just for a moment. It can allow you to feel your deep knowing. That there’s something larger, more beautiful, more powerful out there and in you. Maybe you call it Beauty. Maybe you call it Love. Maybe you call it Intuition. Maybe you call it String Theory. Maybe you call it God. Whatever you call it, get yourself some awe. Let wonder back into your life. It will soothe your worried soul. To my blogEEs: Where do you find awe? What inspires you? Tell us about your sense of wonder. What has helped you ease your anxiety? Thank you, dear readers. You inspire me. Tags: angst, anxiety, empathy, gifted, rainforest mind, sensitivity, worry | Permalink. Thank you for reminding me of that Paula. And I’ll also pass the advice along to my rumination-prone daughter! Thanks, litebeing. Yes, I think I read that, too. There’s a comment below that may shed some light! This post about awe has just left me in awe. Huh. I never saw awe as the plus-side of worry. The yin to my yang. The window opening to my door closing. The light to my dark-side. The after to the before [I read this post]. It’s so true: never stop learning. Thanks again Paula. thanks David. I will check it out. Interesting article but I cringe a bit at the content. While anxiety and sensitivity (HSP) are certainly correlated with intelligence – especially what’s known as “fluid g” or a more lateral style of thinking – they are not burdens to be managed but aspects we can get skills for. It is entirely unnecessary to live a life shadowed by anxiety. And if you’re an HSP or have one of the subset of Empath gifts, there are skills to make them gifts rather than burdens. Then we can live life in inspiration and awe. It is NOT necessary to suffer to be creative. For me, I addressed anxiety with TM, transcendental meditation. Theres a ton of research to back that up. A similar effortless practice will work, like Vedic or Chopras. Gradually all the anxiety drivers fell away. 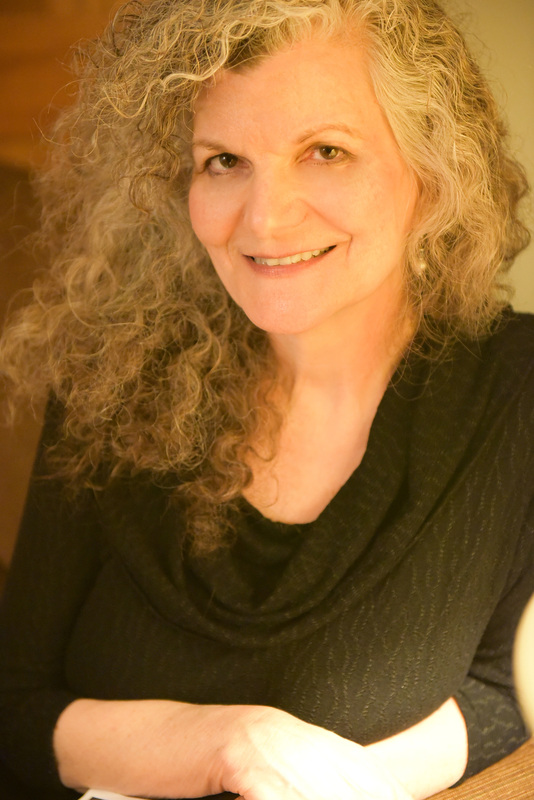 For the sensitivity, if you’re one of the 15 types of empath, you can get clarity on that and skills through the work of Rose Rosetree. If just an HSP, Aaron’s work on the subject is excellent. TM is useful there too. Workarounds and avoidance are not solutions. “It is NOT necessary to suffer to be creative.” Oh, David. I so agree. I didn’t intend to leave that impression! I believe that sensitivity and empathy are wonderful traits. I’ve found that many of my rainforest-minded clients are also worriers. But, yes, there are many techniques that can ease anxiety. I was also referring to circumstances that would be particularly upsetting, causing anxiety, such as the political situation in the USA and climate change. Sorry to make you cringe! Thanks for sharing your thoughts. At an early age I discovered the Stoic philosophers. Well done. Yes worrying was my breakfast lunch and supper for a while. But then I discovered New thought and that helped me and a fellow called Ernest Holmes and that helped me, Science of Mind and well Jesus he helped me most of all. And I do have a deep capacity for wonder and awe…a good thing. I can keep the existential worry at bay quite well. It’s the detail worry that buries me. Anything I’m responsible for, my mind runs out in every direction to find the bits that need to be attended to, the potential problems that can be headed off, the necessities that might be missed. All too often over the years I’ve adjusted/corrected/dealt with them so well that others involved/affected never even recognize their existence. And I find myself feeling very taken for granted and increasingly resentful. I think it’s time to stop doing for others and turn that attention to myself. That’s interesting–being so good at problem solving that others don’t even see them. Makes sense that you’d feel taken for granted. I wonder if there’s a way to let people know what you’re doing, or, like you say, stop doing so much for others?? Very timely – I wrote a blog post regarding the fear of my own anxiety, just yesterday. My plan is to be silent a lot more of the time, thereby not mindlessly palming off my anxieties onto others around me. I hope to invite the form of my anxiety to sit beside me as I play my ukulele, play a board game, paint, meditate… begin to get to know it via closer proximity. For a long time now I’ve kept the bulk of it far off on the horizon. Being outside (even just 1m away, out on the deck) helps me feel at peace. When I deeply feel a sense of connection to all things, my fear of death almost vanishes. “When I deeply feel a sense of connection to all things, my fear of death almost vanishes.” As always, thank you Ro. I was doing much the same thing. I kept things working on engineering projects. In this circus, I was the one who made the elephant dance. The company decided things were going so well they didn’t need me and besides they didn’t really understand what I was doing. I got laid off. Two months later I got a call from HR with a lowball offer to come back as a contractor to assist my boss. Did that set off your Spidey sense? My instant counter offer was about four times their offer. HR Catbert’s response sounded like a hairball. She would have to check with the VP of engineering. He didn’t have a problem with it. He knows the score. There is a general rule of thumb that a contractor is paid 2.5 times a salaried employee’s pay to compensate for lack of benefits. I asked for 2.5x my previous salary plus a modest premium for being the World’s Leading (Last!) Expert on an entire product line. As the story unfolded, I learned the company was being sued by customers whose projects were stalled. My boss couldn’t do the job. My boss didn’t need help; He needed HELP!! Other projects were added and over the next several years I had a part time job for four months a year that ka-chinged a year’s pay. It made a nice bridge into retirement. Remember to always be the Good Guy. Keep your Shining Armor in good repair. You will need armor, i.e. reputation, professionalism, etc. to defend yourself. I haven’t found dragons to be all that. Mine have mostly been clumsy and smelly. I assume I will be in an unpopular minority when I suggest the possibility that anxiety and other mental disturbances may not be entirely negative states of mind, and may actually prove useful for the spiritual evolution of both the individual and society as a whole. I do not enjoy anxiety. AT ALL. (duh) I cannot even bear to see others suffering from anxiety, even the anxiety of fictional characters can give me “empathy anxiety”. If I were a lot less anxious, I’m sure I would have become a lot more well-adjusted and successful. However, this raises some compelling questions: as a well adjusted person would I be as motivated as I am now to use my creative gifts to attempt to initiate the kind of radical changes that seem necessary in the world today? Being well-adjusted and free of anxiety would I even be privy to the kind of vision(s) necessary to change the world? If I was more successful and integrated into society, would I be as daring and committed to changing the world from the one I was better accustomed to? There are others who are far more eloquent about these questions than I am, I am just putting them out there for others to ponder and debate if they desire. Thank you! I’m not suggesting that well-adjusted people do not care about changing the world for the better, nor that living in a constant state of anxiety is preferable. I was chiefly referring to the theory that some mental disturbances may often be symptoms of spiritual awakenings, and that these difficult episodes — if wisely guided and cultivated correctly — can lead to the spiritual evolution of individuals that indeed may have much to offer the world rather than them being mired in the mental health system that primarily relies on the “disease model”. In a similar way, a wise therapist such as you Paula, looks at certain unique but at times problematic characteristics of some patients as being signs of giftedness rather than signs of disorder or disease. So in a sense, with your approach it may be appropriate to say you are not so much “curing” anything as much as acting as spiritual midwife to the awakening of gifted people who have been taught for years to believe they are damaged. Thanks for the recommendation, Mark. And for sharing more of your thoughts. I’m sure it can be hard to be clear when commenting here or on any blog because the topic is complex and the space is limited. Rainforest-minded folks can have trouble being understood by others so explaining a point briefly might be frustrating. Yes? Don’t you know it! 🙂 I never know if I’ve said too much or not enough. I don’t like to make a big fuss but at the same time I know if I forget myself I can get totally carried away thinking, talking or writing about something that is either very stimulating or is particularly problematic. I’m inclined to agree with you on this – that there are many things that need more people worrying about them if we are to get them fixed! I try to focus on things I might be able to change by imagining something different, just as a way to stay sane. it is easy to get crushed by the sheer enormity of what’s going wrong at the moment. But, in our fear and our heartbreak may also lie our redemption. Thank you Paula for this post! Yes, there’s always angst, that’s the word I resonate the most with. Like you all are struggling with the political climate in America, I am in India. It petrifies me. That just one thing! But you are right, the wonder, the awe, the endless blue sky, the shining moon, the high mountain tops, the laughter of a child, a playful dog, a smiling stranger, a beautiful piece of music, a well made movie, all somehow eases that. For me it’s the belief that we all tie back together in some way, that every drop that I contribute to in this vast world, will make some impact. I may not see it, may be not for years, but it does. It’s this belief that keeps me going. My work that does too, one healed soul will impact two others, makes me feel connected when I am involved in feeling felt & keeps me grounded. It’s the human connection that makes it all worthwhile in the end..
Love this, Antarmukhi. Thanks for the inspiration. Beautiful descriptive post, Antarmukhi. Thank you. Made me smile. 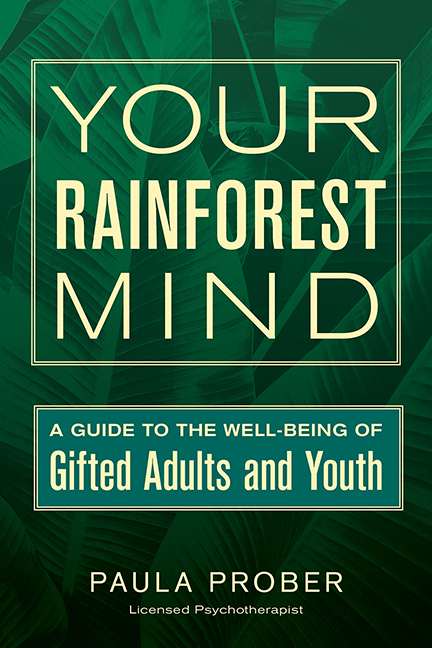 I was wondering if all people have the potential to cultivate a rainforest mind? All people are interesting and have depth to them, but if they have a desert mind , could they learn to grow flowers if they wanted to? But, only if they wanted to, I mean. I’m not suggesting that on kind of mind is better than another. Thanks for taking the time to answer my question so quickly. I know you must be a busy person. I’m going to continue working my way through the archive. It really is an interesting blog! Anxiety and worry can be paralyzing. I soothe myself by making yarn and knitting. It is a simple craft but very meditative. I also have found in it a way to socialize when I never was able to before. I enjoy my spinning friendships and always having my spinning wheel going means I will never look odd when I am not talking, because everyone else is spinning too. Also spinning is so relaxing for me that it allows me to speak more than I normally could in a group setting. At the end I have a beautiful yarn that I made with my own hands. Sounds lovely, Gabi. Thanks for sharing. To balance the anxiety about directions we “as a whole” have chosen to pursue, I find it helpful to believe that there are many people who are doing good. What’s that saying about the first person to think of a radical solution is an idiot, and the next few to embrace it are geniuses? Over time, humanity just might survive. And if not, what part are we in the grand experiment. Years ago I read a magazine article about Palestinians and Israelis who cooperated in ventures to help people, and I realized, I don’t know the whole story. It does not get reported on the evening news. I don’t see much about it in the newspaper or on the web. That does not mean it is absent. I have hope because I am doing what I can with what I have where I live. It may be small but there are a lot of others like me doing the same. Together we are contributing in a way that is mostly unheralded. I don’t want it to be heralded. I am happy to do it and I know others are too. We make an unheralded difference. Thank goodness for the gifts that make me able to see this. I can feel it just as surely as I can feel the spring coming. Yes, yes, yes! Beautiful, telperion1214. Thank you. The positives of intense..is that when it is good it is truly awesome and nourishes and is also experienced at the next level ❤ What a beautiful reminder, thank you Paula.